In my quivering, quaking moments of fearful indecision, there are a few simple commands that usually help me find my way: whatis, whereis and which. whatis is part of the man-db superstructure, and I think it’s safe to say that without man-db, whatis is mostly unusable. 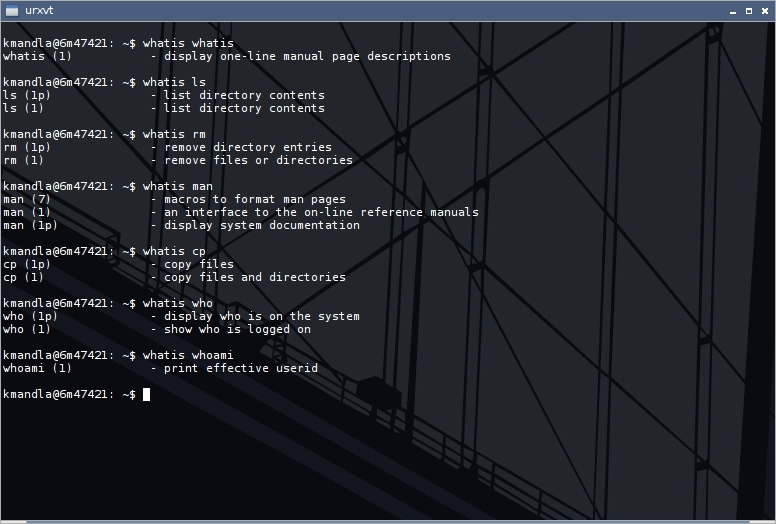 That’s because whatis skims man pages that match your search string. Nothing particularly fancy there, and if I hadn’t checked, I would have assumed that was about all that whatis is. 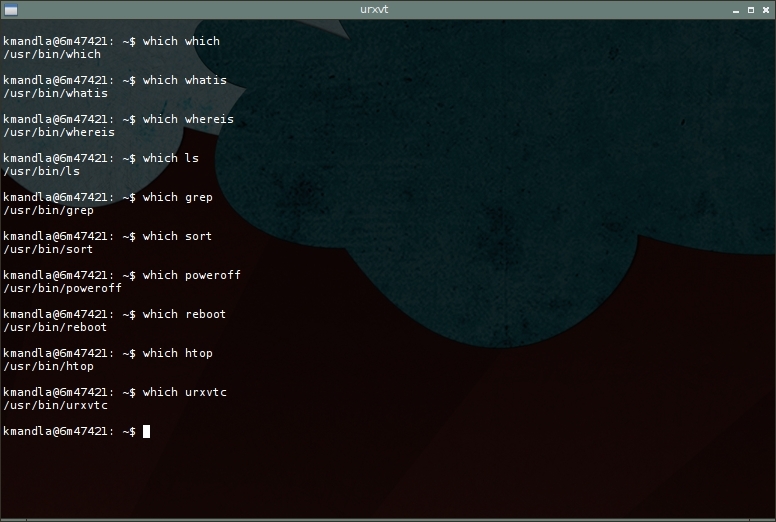 It does take a healthy array of flags though, representing everything from terminal output width to regex string matching. whereis, by contrast, only tells you … where something is. Or more accurately, where its binary, source and manual page are. 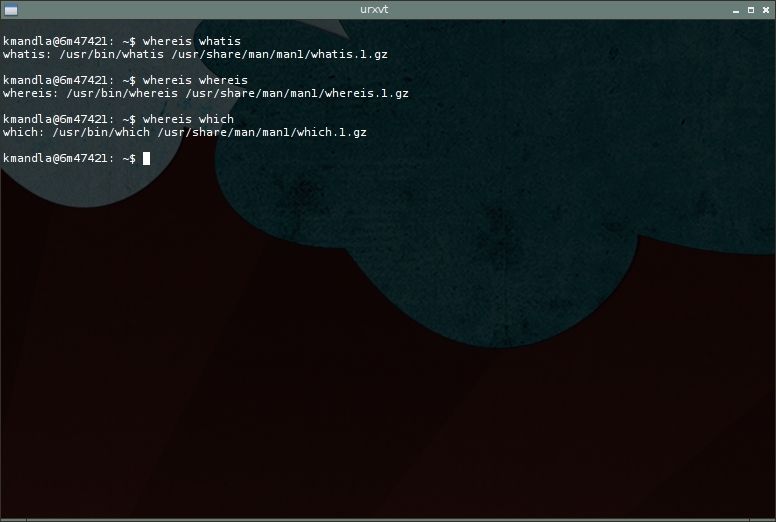 which might be the most straightforward of all three, showing the path of the shell command. In other words, you give which a command, it shows you the path it will follow to reach that command. This entry was posted in Linux and tagged information, system on 2014/06/28 by K.Mandla.